As mentioned yesterday I was feeling a little homesick for London Town and all things Blighty. 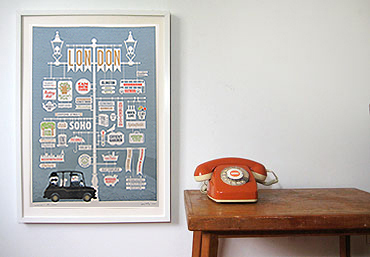 So it was a most pleasant surprise when the post arrived containing the most beautiful London print by Jim Datz that I’ve been lusting over for a while (we already have the Manhattan one). A lovely surprise from my boy. Feeling incredibly homesick, I tuned into the BBC coverage of the royal wedding today. I loved it all. The beautiful and very green shots of London, the brilliant pomp and pageantry that only us Brits know how to do, the sweet love story of Wills and Kate (he whispered how beautiful she looked when he first saw her) and of course THE dress. All amazing. Wished I had have been there. 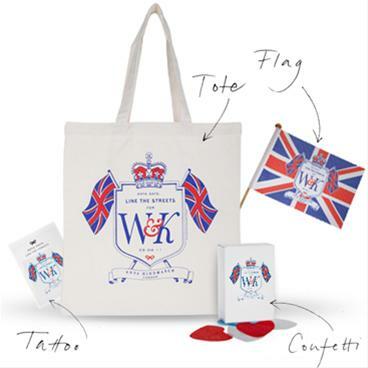 Had I been there I would have been celebrating with this gorgeous limited edition Anya Hindmarch kit. Perfect to bring along to the street party. In a medium pot, cover tofu with water and bring to a gentle simmer. Remove from heat and set aside. Heat oil in a medium skillet over medium heat. Add peas and scallion whites and saute, stirring, until peas are crisp-tender, about 2 minutes. Transfer to a medium bowl. 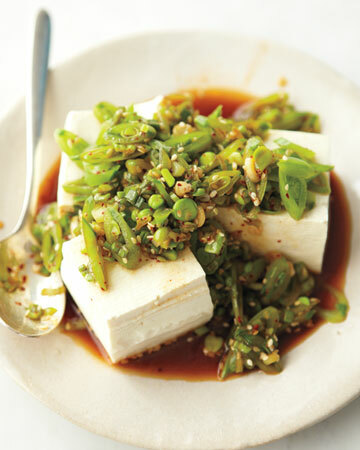 Mix in scallion greens, red pepper flakes, sesame seeds, garlic, sesame oil, soy sauce, sugar, and 1 tablespoon water. Season with salt. Drain tofu and divide among plates. Top with pea mixture. Today I treated Rory to a mobile for his new nursery (we’re hopefully moving at the end of the month). 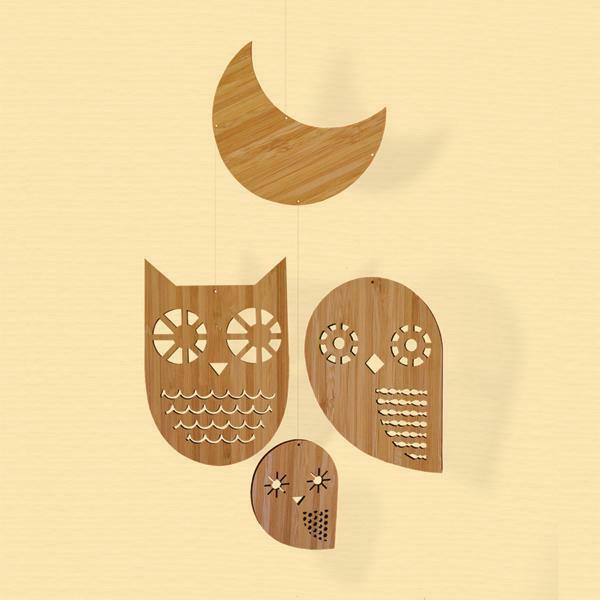 I chose a very sweet night owl family design by the beautiful PetitCollage. It’s made out of Bamboo and although being very sweet, looks that little bit grown up stylish too. I hope he likes it. It’s not just Rory who loves books in this house. 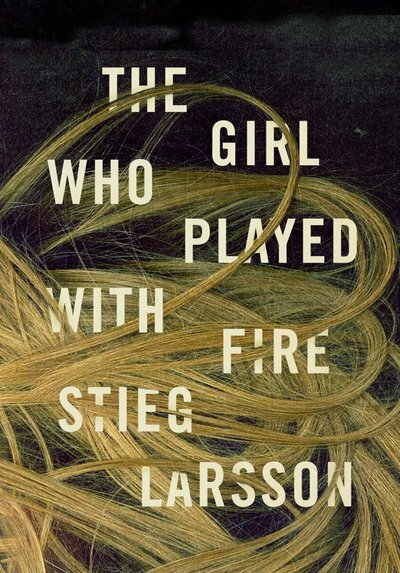 I’ve just finished reading the second book of the Stieg Larsson Millennium series ‘The Girl Who Played with Fire’. It’s as gripping as the first novel with more revelations about the central character. A real page turner and a must read. 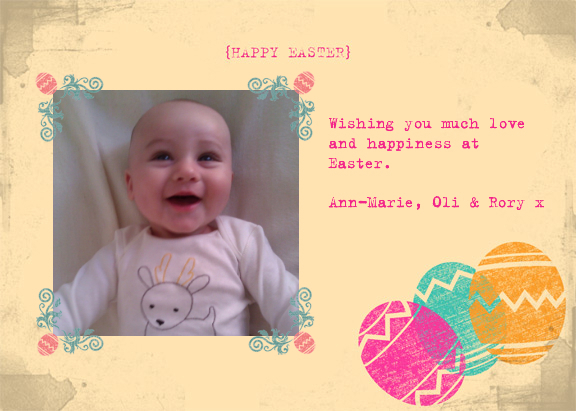 For Easter O and I got Rory a lovely touch and feel book all about Town by the stylish Dwell Studio. As he’s exploring lots with his sense of touch, he loves this. We share it just after our lunch time feed, enjoying the rhyme and all of the hidden parts to feel. The sky was grey and the rain was pouring. When the weather is as bad as this there’s nothing more to do than meet up with lovely friends and drink warming tea and have a slice of cake. This is exactly what we did. We met up at the French Café called La Bergamote with the lovely Craig and Lisa to discuss Rory’s Baptismal invite that the very talented Mr Ward is kindly designing for us. We treated ourselves to a warming ‘bowl’ of peppermint tea. Everyone else indulged in the delicious chocolate croissants (one more day left of Lent so I didn’t) and we had a good old catch up. Today Rory and I met up with our two favourite girls, Mel and Mia and headed out to lunch to a beautiful café in Brooklyn Heights. 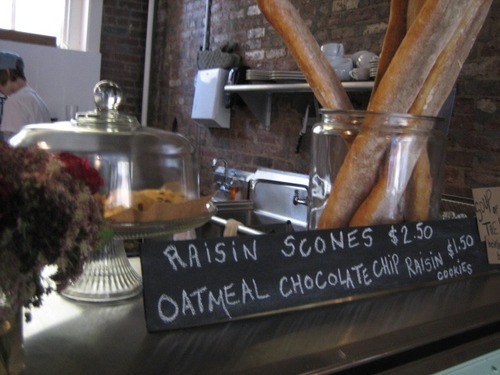 We power walked along the promenade admiring all of the beautiful, grand brownstones until we hit Café Iris. 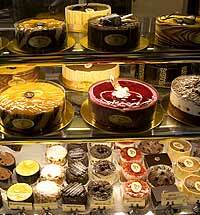 Inside it’s all very cool (exposed brick) and cosy (homemade cakes, scones and sandwiches on display). Needless to say we treated ourselves to a delicious sandwich and spent far too long chatting about this and that. 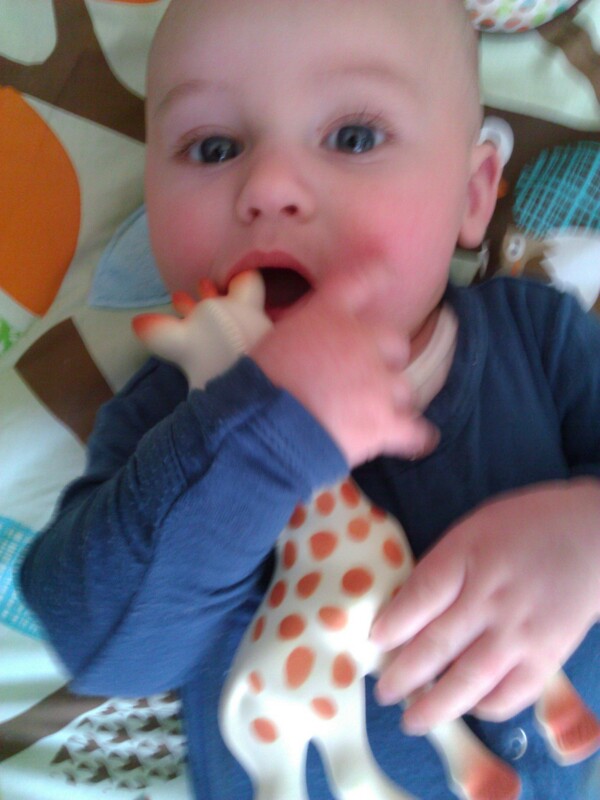 Rory is still teething so poor Sophie Giraffe is getting chewed a lot. To take his mind off it and to make the most of the beautiful, sunny Spring weather we’re having, we met up with Eileen and little Dorothy for a stroll along the river. We walked all the way downtown and then stopped at a park to have a snack. A lovely afternoon of exercise and girly chat.